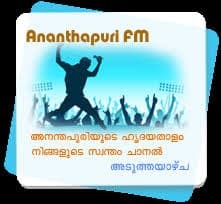 Ananthapuri FM Malayalam Live Online . Ananthapuri FM is Trivandrum’s leading FM station owned by All India Radio. Address : Ananthapuri FM, Commercial Broadcasting Service, All India Radio, Thiruvananthapuram, 695 014.